The main purpose of reviews is to give other potential customers an authentic and unbiased opinion of your facility. The way you react to a negative review says a lot about you and about how you run your hotel or guesthouse. In a 2012 study conducted by TripAdvisor in collaboration with PhoCusWright, 84 % of respondents stated that an appropriate response by a hotel to a negative review “improves their impression of the facility”. On the other hand, an aggressive or overly defensive answer reduced the chance that the hotel will be chosen by 64 % of respondents. When working with negative reviews, it is useful to keep a few basic principles in mind: Your objective should be for guests to feel that you not only read and respond to reviews, but that you also make appropriate changes as a result. It is critical that the information you have about the affair that caused the given negative result is as accurate as possible, and for you to answer as if the guest was dealing with you in person the entire time. Your reaction should give the impression that the guest’s complaint isn’t being treated as “damaged goods” that we want to disappear as soon as possible, but as the experience of a specific person who had an unpleasant experience on premises for which you are responsible. Address the guest by name and in any event thank him or her for their feedback. It is good to keep in mind that even though some reviews are written in the throes of emotion and their style may sometimes be very harsh, even these may lead to improvements in the quality of your services. Apologize. An apology need not mean admission of a mistake, but simply that you are sorry that your guest’s expectations weren’t met. Let the guest know what steps you have taken or intend to take so that a similar situation doesn’t happen again. Often nothing can be done about what has already happened. But if the situation hassled to real changes in how your facility works, this sends a strong positive signal to future readers. They will see that you take your guests’ feedback seriously and that you are willing to change your facility for the better. Answer quickly. The ideal response time is within 24 hours of the review being posted. Old negative reviews left unanswered are a very poor calling card online. Every negative evaluation is of course unpleasant. But when we leave the initial emotions behind and accept it as an opportunity for improvement, they can the the most potent source of progress. In the end, they can mean new, satisfied clients, positive reviews, and increased profits. We wish you nerves of steel, lots of satisfied clients, and as few negative reviews as possible. Small hotels and guesthouses are increasingly providing the option of booking and immediately paying on a websites. Guests love it because bookings are more transparent, quick, and convenient. Receptionists find online booking forms more efficient because they circumvent time-consuming processes like logging reservation requests by phone or email, manually entering reservations in a management system, and endlessly answering the same questions about room rates and availability. You can avoid all this. In the hotel business, there is a theory, often put into practice, that says general price reductions will result in higher occupancy, and thus higher profits. Written down like this in one sentence, it sounds like a contradiction. So let’s look at this myth in detail and see why this is the case. It is said that to err is human. 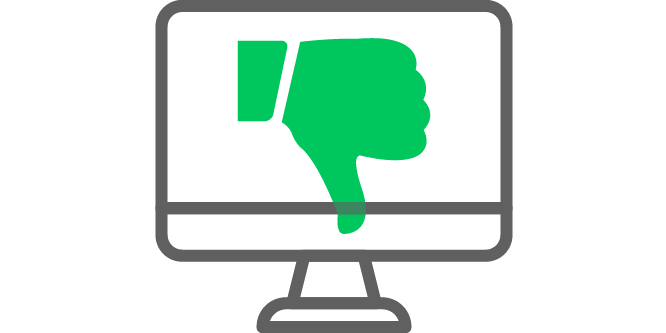 But in the management of a small hotel or guesthouse, even a small human error can be immediately reflected in negative online reviews that are visible to all. Errors can occur in the management of reservations in pricing, during payment, in the application of booking restrictions, and other routine activities. Some of these can have serious consequences.